Internet marketing is not as simple as it sounds. There are a lot of technical things that you need to be aware and be familiar of in order to optimize your company’s pages. But not all online marketing strategies are complicated. In fact, the incorporation of social apps and pages into the marketing aspects of your brand is so easy to comprehend since virtual communities are made in a sense that the general public could easily understand and navigate them. Twitter is one of the biggest social websites today. There are more than 200 million people who have twitter accounts. As a brand, it will be an error if you let this huge number of possible customers go to waste. You need not to know a lot of complicated strategies in twitter. Sometimes, even a simple reply to a customer’s question can make a huge difference. 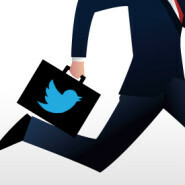 Get a separate twitter account that is solely dedicated for the business. Do not use your own personal account and mix it with the brand as this may cause confusion among the customers. Having the brand name as the twitter username helps the people recognize who you are so you could be searched easily. Keep track of those people who reply, share, and retweet the content and links that you post. They help in increasing your visibility in twitter and it is important that you spend time to interact with them. You can thank them for sharing your tweets or you can engage in small chats and talk about what they like about your brand. If you have new followers, welcome them to your service by tweeting a welcome message. This way, the customers will know that you are constantly keeping track of your account and that the business is active in social media. Turn on your location settings especially if you are a business that wants to attract more people into an actual store or shop and not just for online shopping. This tip is extremely useful for small and local businesses because the location will help customers find where they are. Do not just reply tweets that praise and support the brand. Also look at tweets that offer suggestions and feedback. Thank them for that and inform them that you will look into the situation. You should also answer any tweets for help or questions about your products and services promptly.